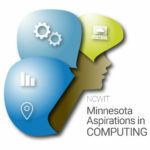 The 2019 Minnesota Aspirations in Computing (MNAiC) Awards ceremony is April 17th, and there is no better time to share another exclusive look into the lives of past MNAiC honorees! This time we are catching up with Fiona Chow, a 2018 State Honorable Mention and 2017 Certificate of Distinction recipient. Summer Bootcamps for Data and Cyber! MN State IT Center of Excellence will be hosting two (2) Bootcamp Events in June 2019 just for you! 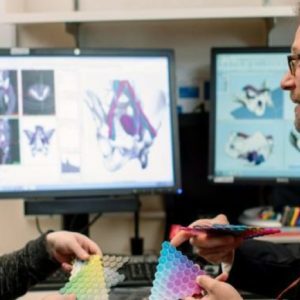 In this Strength-in-Numbers series article, we speak with Amy Alexander, Senior Biomedical Engineer at Mayo Clinic where she converts 2-D radiological images into 3D-printed models. 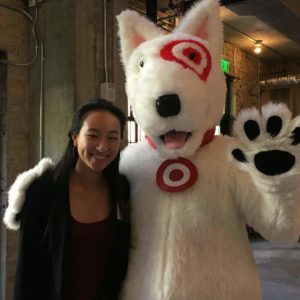 Amy discusses what she believes can be done to improve participation by women in the technology industry. 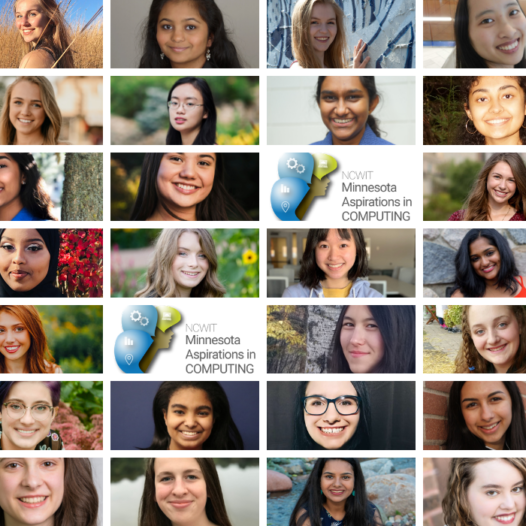 Announcing the 2019 Minnesota Aspirations In Computing National and State Winners. A number of organizations have completed Career Outlook surveys for 2018 and beyond. The summary of findings have a nice outlook for students in the data science, computer science and/or information technology areas. In 2018, Glassdoor (www.glassdoor.com) listed the 50 best jobs in the United States. Their job ratings included job satisfaction, number of job openings and base salary. Out of the top 50 jobs, fifteen (15) are in the technology arenas, with many being in the Top 10! 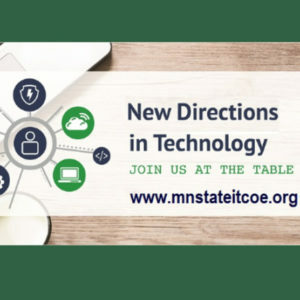 New Directions in IT Education is the annual Minnesota State Faculty Conference that provides an opportunity for educators and industry leaders to interact with their peers and influence the direction of education. This year’s conference will be held May 15-17, 2019 at North Hennepin Community and Technical College in Brooklyn Park, MN. Engaging industry. Enhancing Education. Inspiring Students. 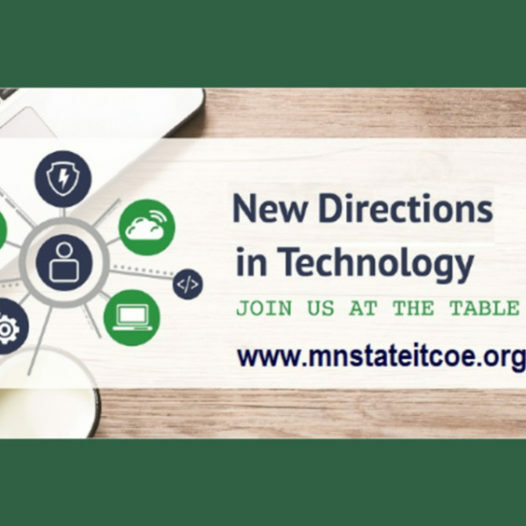 The Minnesota State IT Center of Excellence is part of an almost 12 year old initiative created by the Minnesota legislature to to advance IT education and careers. We bring the most wanted IT skills and the most up-to-date technologies to the forefront of what our schools teach and our students learn; with the ultimate goal of creating a workforce that can meet Minnesota’s growing need for IT professionals. The IT Center, known by some as MN ITCOE, does this in many ways including coordinating curriculum development, hosting student competitions and awards, and offering hands-on events to enable the career readiness and success of students. The world of IT is an in demand and ever changing place; it consists of careers ranging from development to management and process to implementation. Luckily, there is a position for every unique personality and skill set, and each job plays an essential part in keeping the modern world’s technology structure intact and moving forward. This need creates an incredible amount of lucrative and rewarding opportunities for people like you. In fact, in 2015, the U.S. Bureau of Labor Statistics named Minnesota the fastest growing state for IT careers, which means job security, hiring opportunities, and higher salaries with good benefit packages. A few examples of much needed Minnesota specific careers include cybersecurity, data, and software and app development. We work to stay on top of the future of IT, so you can be sure we are always working to develop new ways to teach, learn, and connect in the IT field at all times. The IT Center helps k-12 students learn more about future career opportunities through fun offerings like the IT Discovery Network that allow younger Minnesotans the chance to “try out” future IT career opportunities and learn valuable skills like coding. One of our most renowned opportunities for high school girls is the Aspirations program, which continues to grow each year. For our Minnesota State two year, four year, and advanced degree students the IT Center offers numerous opportunities through degree offerings, paid internships, IT specific events like CCDC and Data Derby, scholarship offerings and resume building events; along with much more. 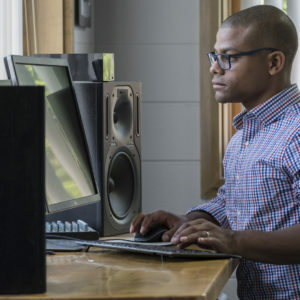 Employers and IT professionals can be connected with hard-to-find experienced and quality job seekers who can be onboarded to your organization even while still in college through intern to hire opportunities like the Fusion program at Metro State. We also offer the innovative IT Connect platform powered by Work Out Loud where jobs and internships can not only be posted, but actually seen by eligible Minnesota job seekers. There are also sponsorship opportunities available to keep your company name in front of customers and future eligible job seekers. We help educators at all levels be able to prepare their students to be future leaders of the tech filled world. This is done through free workshops, conferences like New Directions, and course and curriculum development support that breaks down difficult information into learning modules in a way that makes it easy to understand and also to teach. Two current projects involve course design for Minnesota State faculty in the much in demand fields of data and cybersecurity. Join us on IT Connect! IT Connect: Community is a collaboration platform specifically designed for the unique needs of connecting the Minnesota Tech community with one another. 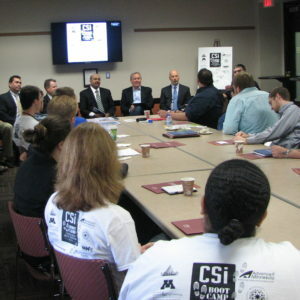 This platform is designed to help students, teachers, professionals grow the IT field in Minnesota. SIGN UP TODAY! The 2018 Aspirations in Computing Awards ceremony, was held on April 17th. 35 Minnesota high school young women were recognized for their technology related interests and achievements. and is hosted by Metropolitan State University.